Retro abstract necklace made from copper and silver sheet and accented with reticulated silver, copper balls, sterling silver. 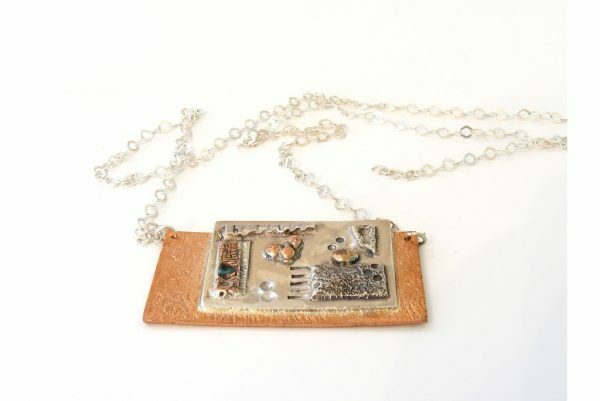 A show stopper piece, it was then textured, oxidized, brushed and burnished.…Read More. 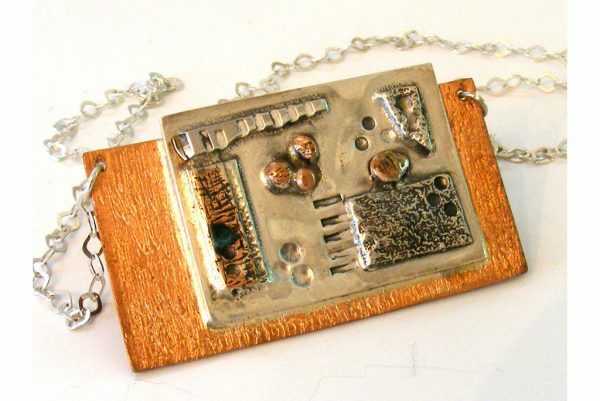 The Copper Mine Retro Silver Copper Necklace is made from copper and silver sheet and accented with reticulated silver, copper balls, sterling silver. 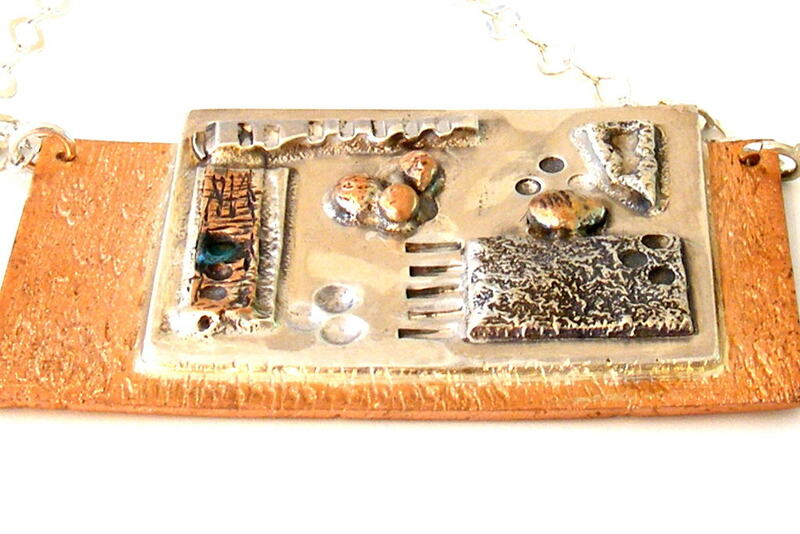 It was textured, oxidized, brushed and burnished to become a show stopper piece. It has a 20″ rollo sterling silver chain with silver lobster clasp that affords adjusting to a length that fits you. Dimensions of the pendant : 1.75 W ” ( 4.5 cm) x 1 H ” (2.5 cm) with a 24 ” delicate (1.5 mm) rollo sterling silver chain.